The booming cannabis industry may have had its lows but now it is experimenting with Bitcoin and even drones. A service called Tree’s has created its own selection of medicinal cannabis selection boxes. It sells medicinal cannabis and has its own way of ensuring it doesn’t get misused. In California to legally purchase cannabis you require a valid reason for its use and a medical license. Tree has simplified the purchasing as much as they can as you can buy it on your iPhone or laptop. First you choose the box you would like to purchase as they have a varied selection including: The Jedi Kush box, The Bud box and the Exotic box. Then after you have entered our address you send them photos of your driving license and medical license.Then upon instant approval you can pay via Bitcoin, cash, cash or debit card and online bank transfers. However currently it only delivers to the San Francisco bay area. Aside from California, medicinal cannabis is also legal in Colorado and 21 other US states. It is also currently looking to pursue drone deliveries and is hoping as soon as laws on drone deliveries get passed they can start them. The founders Marshall Hayner and Mikko Ohtamaa are passionate about the cryptocurrency and are pioneering the medical cannabis sector. They claim to sell only the “highest quality” medical cannabis and have lots of different accessories with their products such as lighters, rig rags, rolling papers and glass and paper tips. All their products come with certificates of authenticity and ensure the utmost quality even when delivering. Even their delivery drivers accept Bitcoin tips. The drone deliveries will also be pioneering as many providers are yet to invest in the technology. 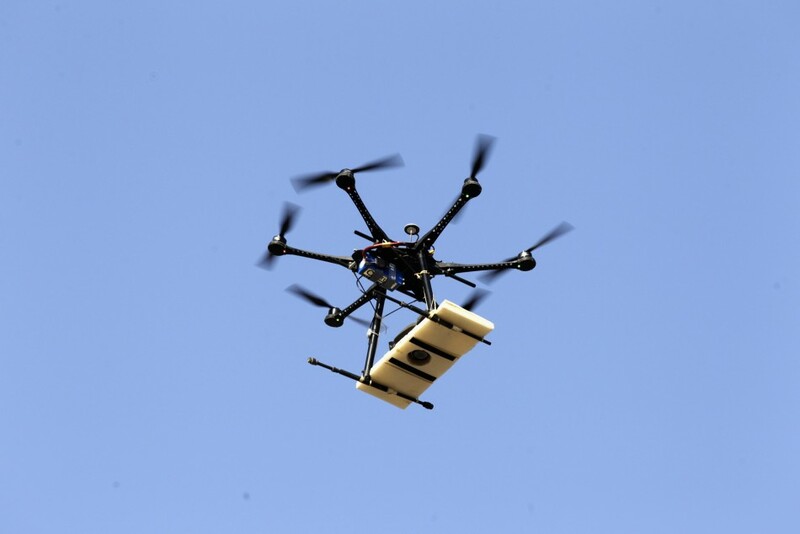 The drones are faster and more efficient than modern travel methods however there is still uncertainty on whether there will be any laws or methods of controlling what goes where when the robots will patrol our skies. The Bitcoin industry is also growing as this shows the services it links onto and this in turn also benefits their businesses.However the founder said the drone video “was really just a viral thing” he commented that “We are currently working on drone logistics and as soon as the FAA passes the appropriate legislation we will have fleets in every state.”They also plan to expand to other legalized states and hope to help the people in chronic diseases such as cancer and AIDS as this is the sole intention of their service.